Poor Ben was sent home from school again today with yet another ear infection. 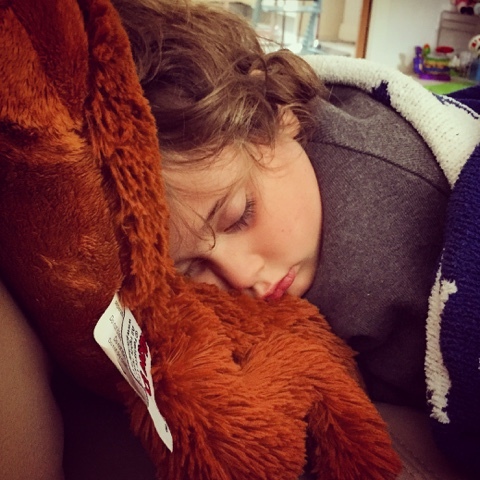 He lay on the sofa and fell asleep the second he got in which is so unlike Ben who never sleeps during the day. He is on antibiotics now so hopefully he will get some relief soon, earache really is the worst and it is horrible to see him in so much pain. Get better soon Ben.